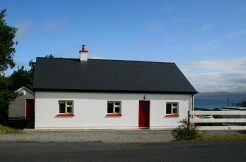 The cottage: This lovely two story stone cottage in Renvyle has a fantastic view overlooking the Atlantic and has beautiful open surroundings for children and barbecuing.There is plenty of parking space and the house is in a stunning location perfect for family holidays, groups or couples.The cottage is 1 km from nearest village which has pubs, shop and a hotel for dining out. 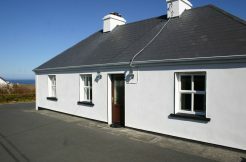 Close by is a local service station and a post office. 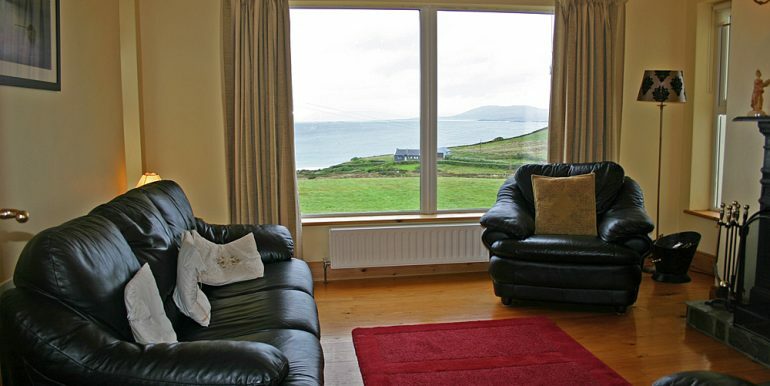 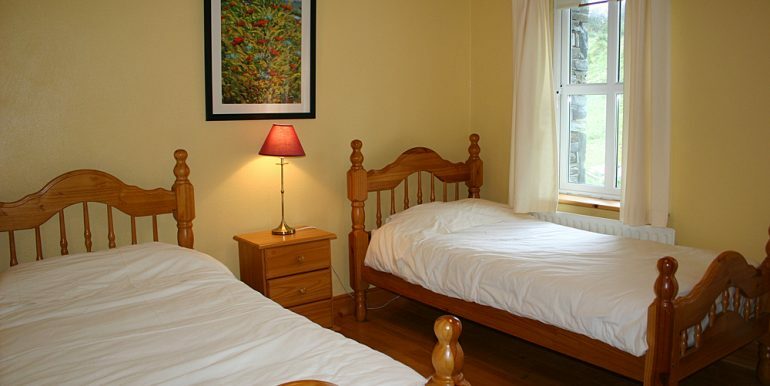 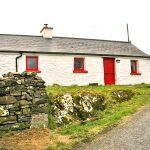 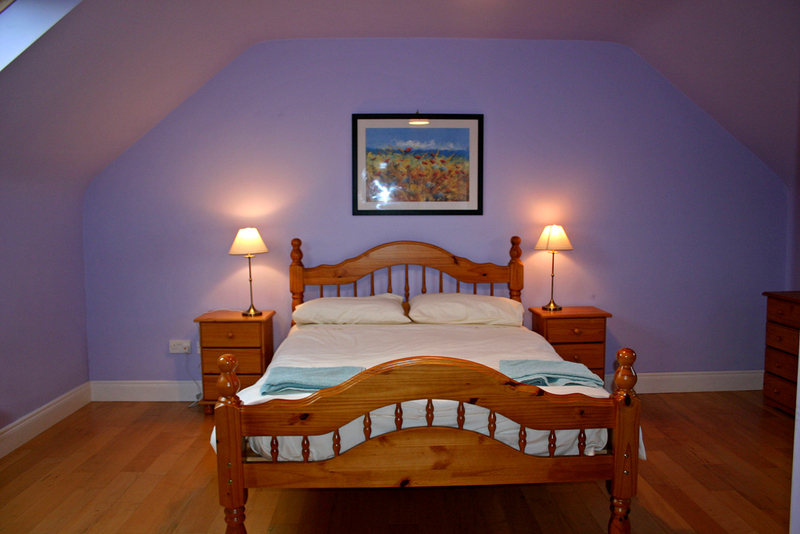 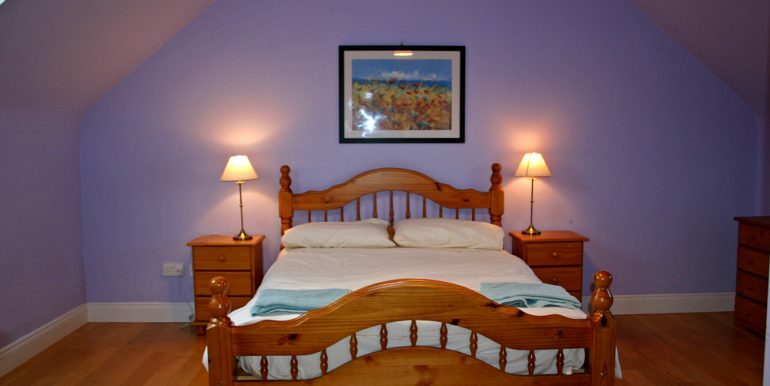 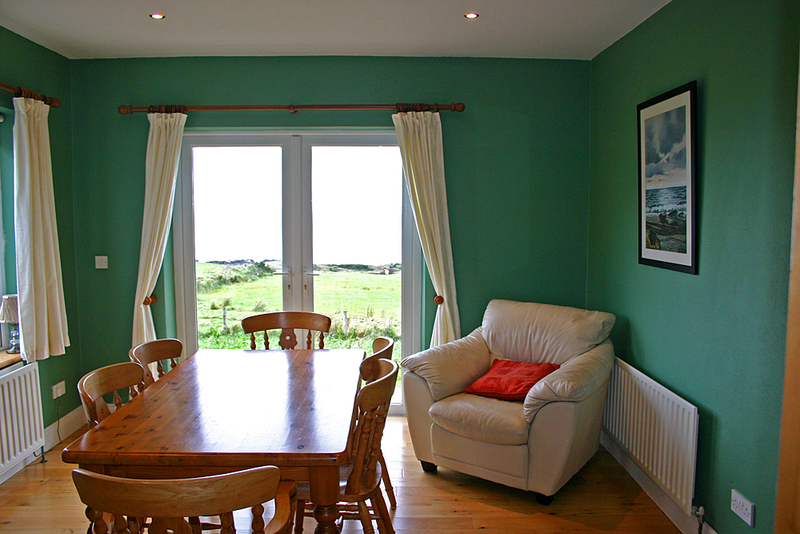 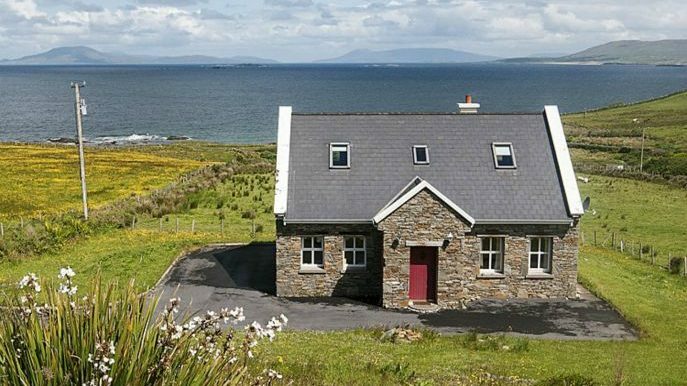 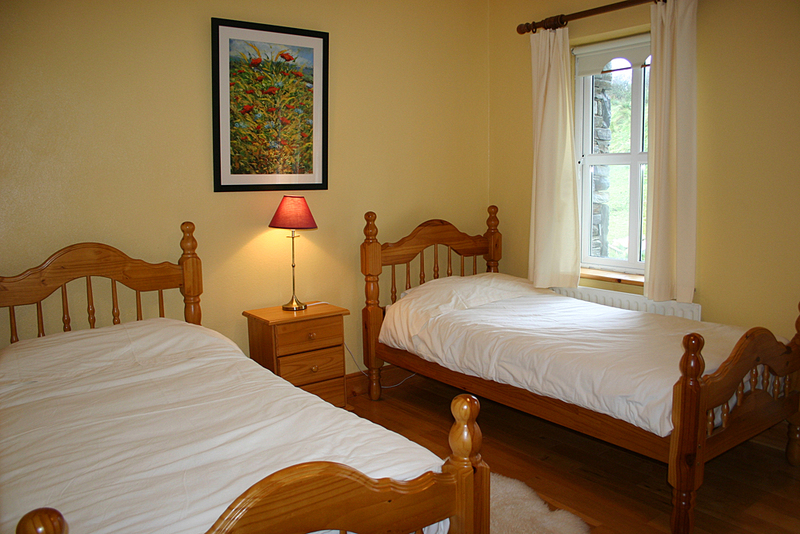 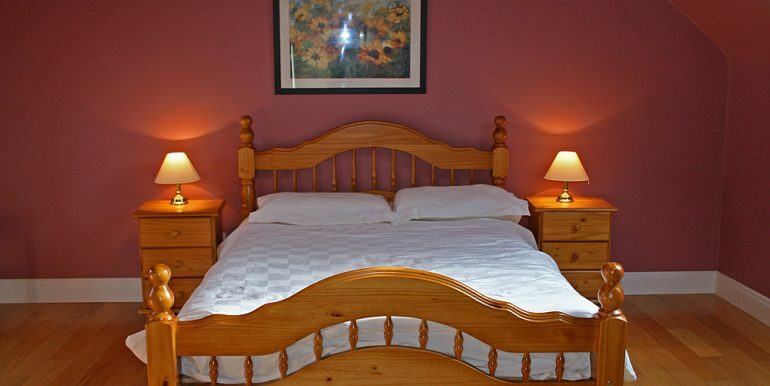 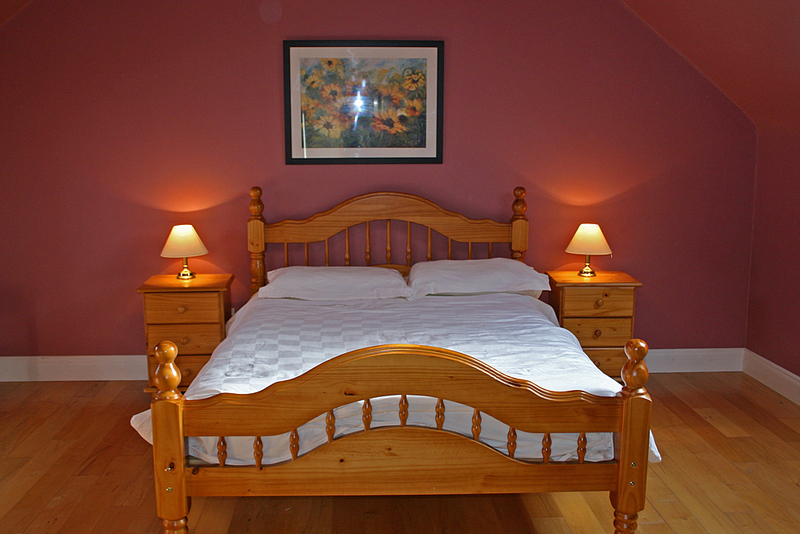 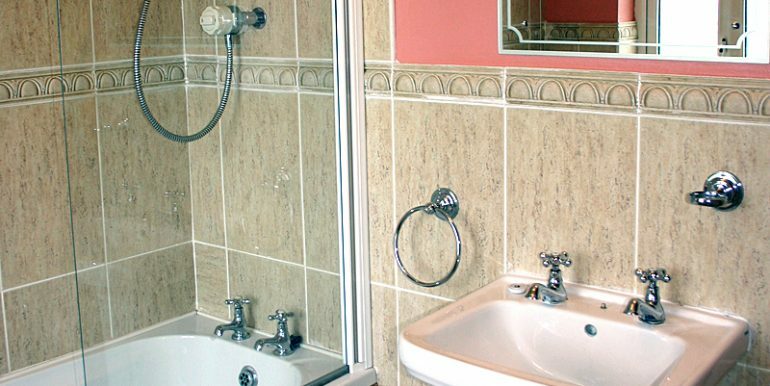 The sea is also very close with a small beach at the bottom of the field down from the cottage.Other attractions in the area are Kylemore Abbey, about a 7 minute drive, the Connemara National park, about 10 mins away and you are on the Wild Atlantic Way which is great to explore. 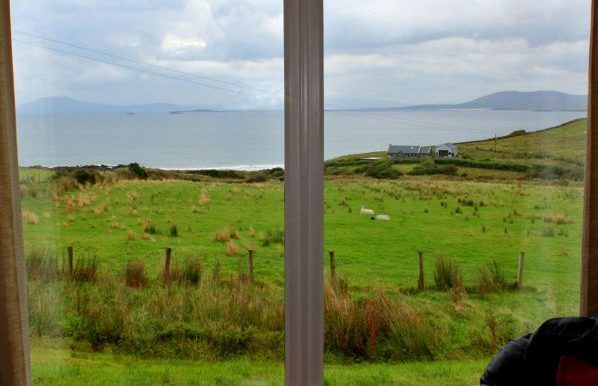 Glassillaun beach, one of the finest beaches in Ireland is very close and Scuba dive west, a local scuba diving school is about 7 mins away. 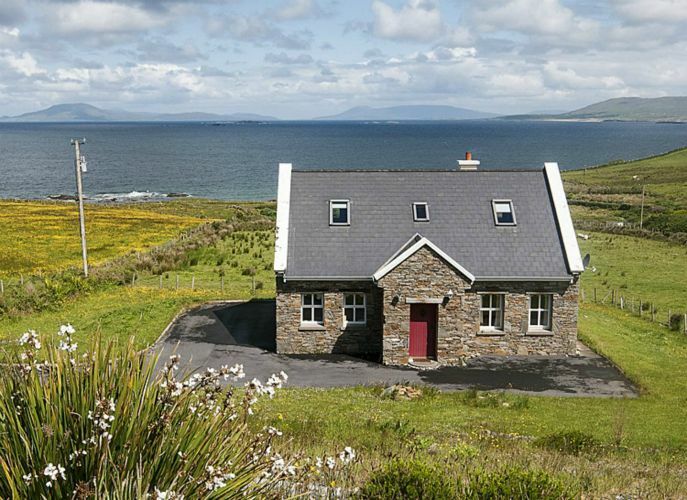 If that isn’t enough the Country and Ocean museum, a local marine museum and aquarium is 5 minutes away. 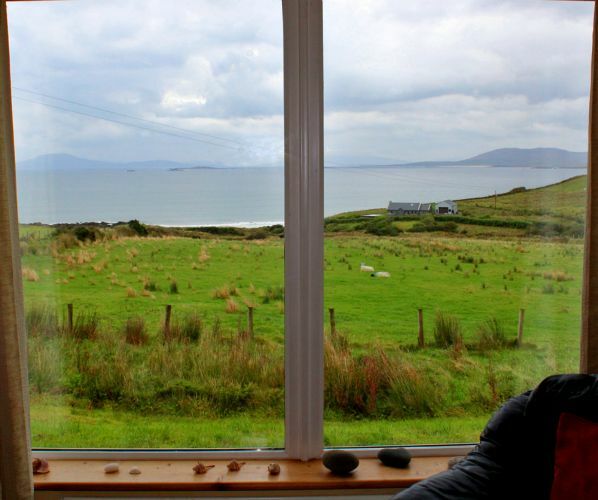 With plenty to do you will never be bored. 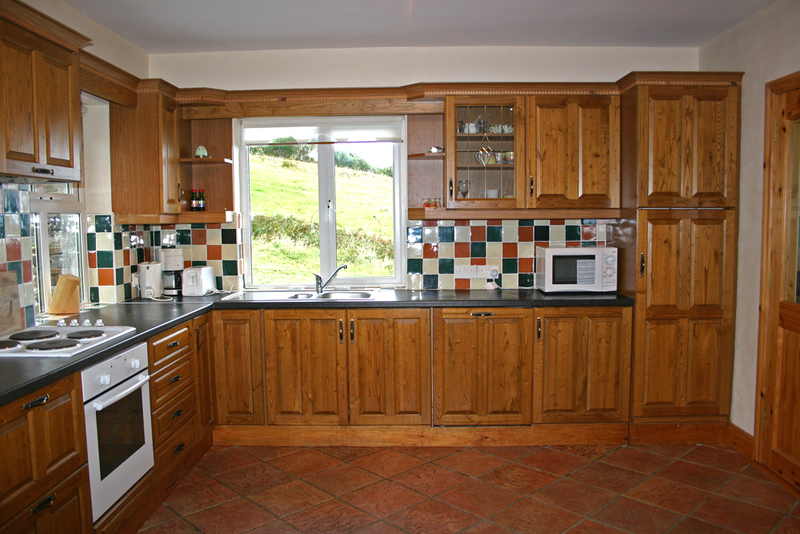 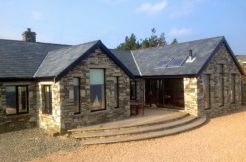 Inside: Very well designed cottage with three bedrooms. 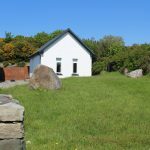 There are two double ensuite bedrooms upstairs and a twin room downstairs .Lovely fitted kitchen with separate dining area over looking the Atlantic. 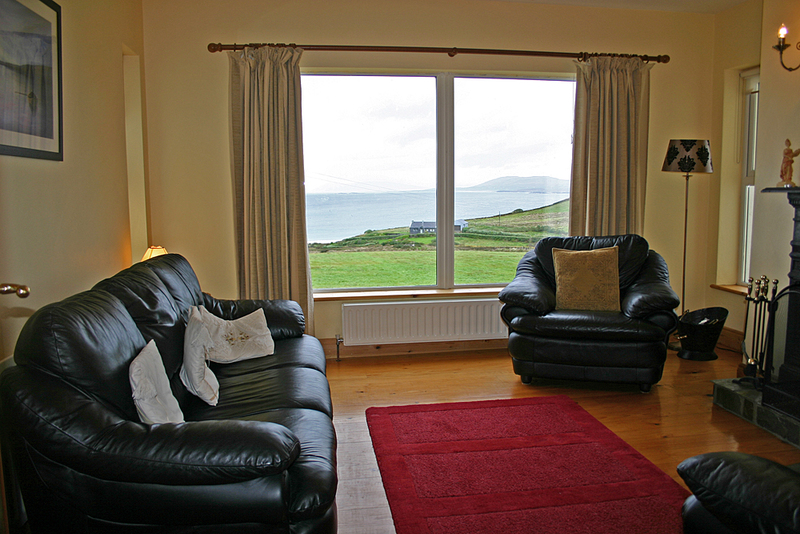 Sitting room with beautiful view of ocean, comfortable three piece suite, tv and open fire. 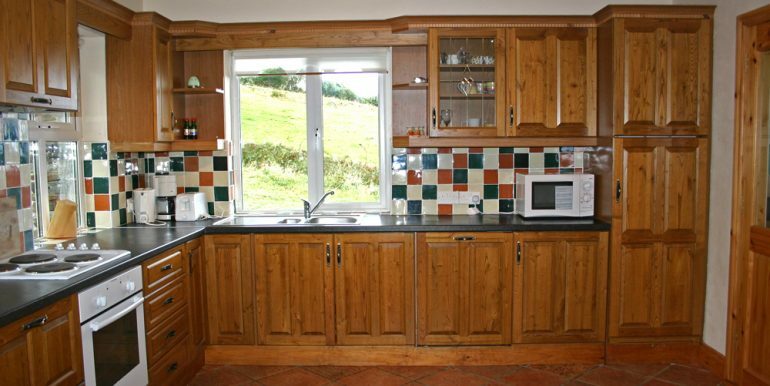 The kitchen has a dishwasher, electric oven and microwave and fridge. 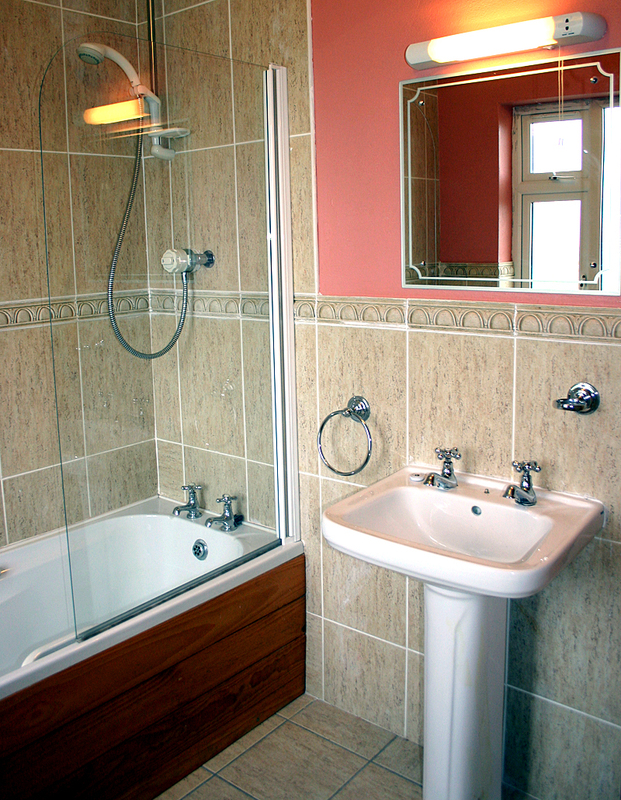 Separate utility room with a washer/dryer. 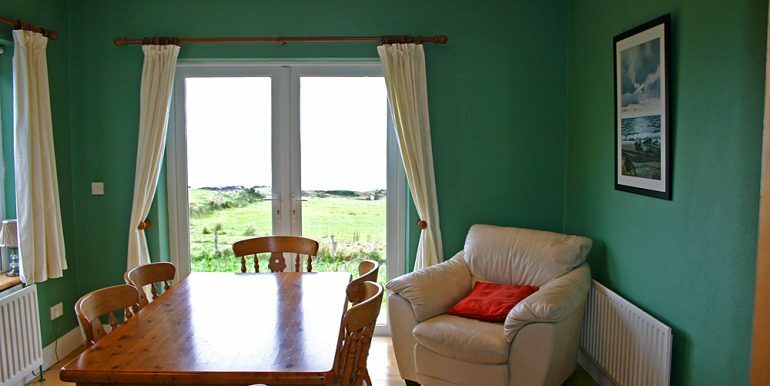 The patio doors leading out from dining area, ideal for barbeque.Wooden floors throughout.This cottage is beautiful and its location superb.